Six Senses Hotels Resorts Spas is poised to make its U.S. debut just outside of South Carolina's Hilton Head Island. The Island Packet reported earlier this week that the Bangkok, Thailand-based luxury hotel, resort and spa chain is planning to develop a five-star "eco resort" on Bay Point Island. On Tuesday, Hilton Head Island Town Council agreed to start the process of annexing the 347-acre island, which sits northeast of Hilton Head Island across the Port Royal Sound. While conservationists are concerned the resort could have several negative environmental impacts on the region, Hilton Head Mayor David Bennett told the Island Packet that Six Senses' interest represents a "significant opportunity" for Hilton Head and could enhance the town's brand. "They have a reputation of being excellent stewards of the environment," Bennett told the Island Packet. "I think this resort fits in very well with the initial undertakings of the early developers." "We could receive about $1.5 million of net revenue annually with very little demand on services," he added. Bay Point Island LLC spokesman Tom Gardo told the publication that the resort would be fully self-sustaining. "The town has virtually no costs to provide resources," Gardo told the Island Packet. "That is one of the key benefits for the town." According to Gardo, the company's environmental model is what attracted it to Hilton Head. 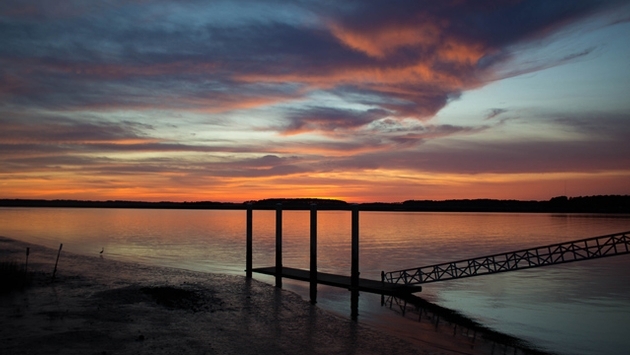 Hilton Head Island has a long history of environmentally conscious development. The modern era of its development began when Charles Fraser, after initially surveying the island for use in his family's timber company, decided instead to develop the island's south end into The Sea Pines Resort. The new resort was founded on a philosophy of working with nature rather than against it, a notion was considered radical at the time, but has since served as a model for earth-friendly resort development. "Six Senses Hotels Resorts Spas is delighted to be working with Bay Point Island, LLC on the development of a resort on the island of Bay Point," Six Senses said in an emailed statement to TravelPulse Wednesday. "The island’s rich habitat complemented by the environmental sensitivity of the owning company make it the ideal partner for Six Senses." 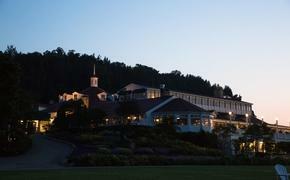 "Six Senses Bay Point Island will be the first resort for the group in the United States," the company added. "Although a management agreement has not yet been signed, we are hopeful that the development will come to fruition and reflect the same high level of sustainable practices that are found at all Six Senses resorts today." In addition to a management agreement, the project must still pass through a series of state and local approval processes before work can begin. Six Senses currently operates nine resorts in China, Maldives, Oman, Portugal, Seychelles, Thailand and Vietnam. TravelPulse Managing Editor Barry Kaufman contributed to this report.